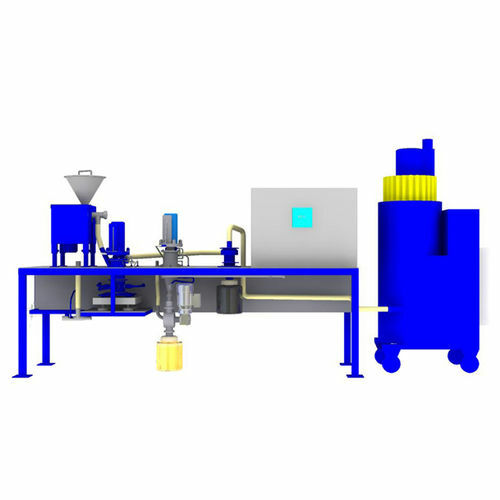 The new comminution system employing a jet mill and an air classifier has been developed for a laboratory applications. The system can be configured as the JMX50 jet mill alone (with the internal air classifier), the ACX50 air classifier alone, or both JMX-ACX systems. The equipment is very compact, requires small amount of input material and the operating system provides fully automatic test procedures with registration of almost all operating parameters in the control unit. The processcapacity is typically in the range of few kg per hour, which provides a significant flexibility regarding test work with small material portions, different settings and operating parameters. The JMX jet mill is placed on the load cells, which allows optimization work regarding optimal filling of the mill chamber. 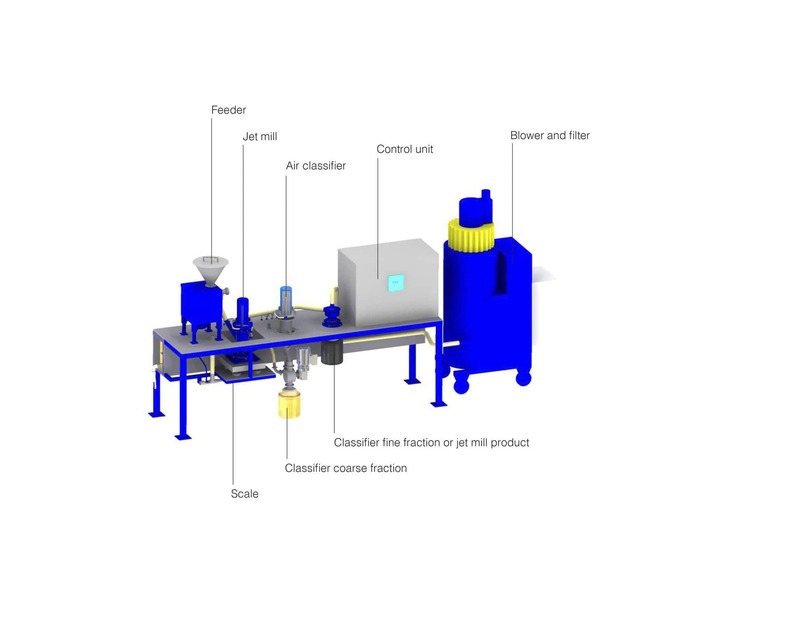 It also has a built-in airclassifier providing the particle size control. 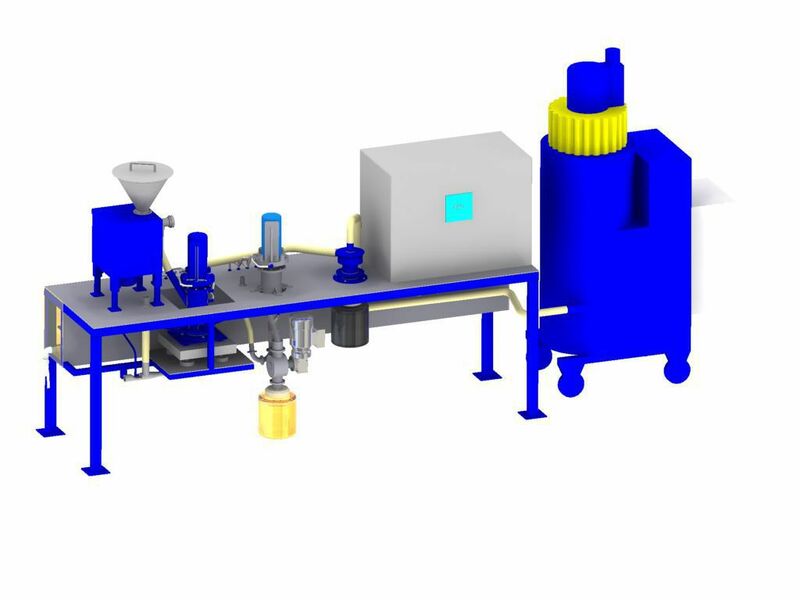 In addition, the separate ACX air classifier can beconnected to the jet mill to provide dual air classification or it can be used separately, depending on the process requirements. The system can also be used for producing very small material samples for preliminary verification regarding further processing. Finally, the particle size distribution can be measured at the outlet by anon-line analyser providing constant size control of the produced particles. This measurement can be done on all streams in the system like the feed to the classifier or the jet mill, jet mill product, as well as the classifier coarse and fine fractions. All parameters are registered in the system and can be exported to XL or other editing program after testing.